Some more of Jersey's shite, this post is especially for mk2 craig, I shall update this shortly. 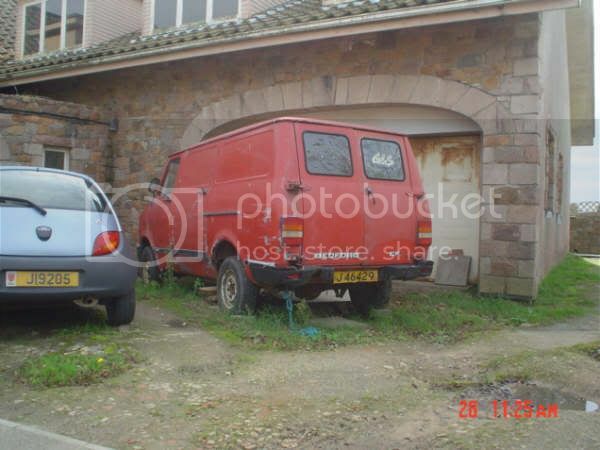 Too much shite, all mine-one owner red 52k Vitesse has gone to the crusher. 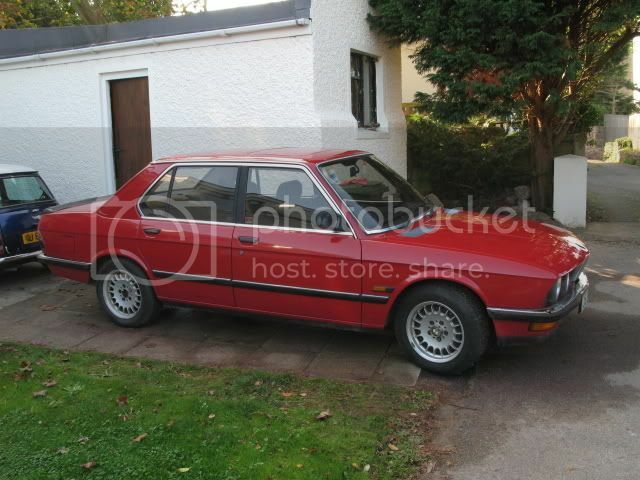 My 65k mile '86 Bmw 525i (M30 not M20 525e for the anoraks out there) just been polished was pink now is a shiney deep blood red, I used pig's blood to polish it with.) 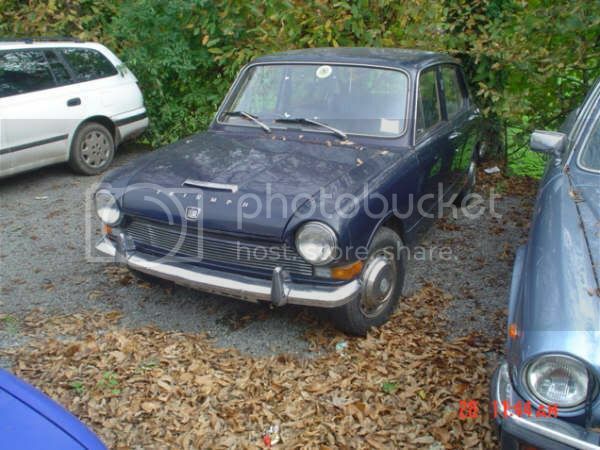 also my mini cooper in background-rusty therefore SHITE! Not my Sierra XR4i but a workmate's who also loves shite and has another and some unusual shite. 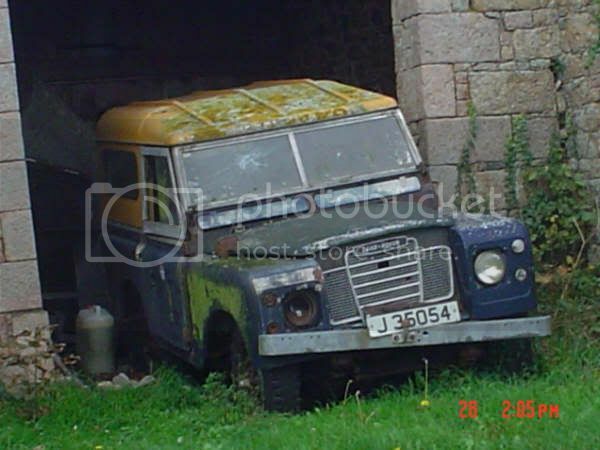 Strange man came running out when I pulled up to this shite old series 3 landy in a shite old series 3 landy (the ultimate shite for shite-spotting) and said man said its gonna be restored (yeah right) but under intensive questioning I think he'd crack. 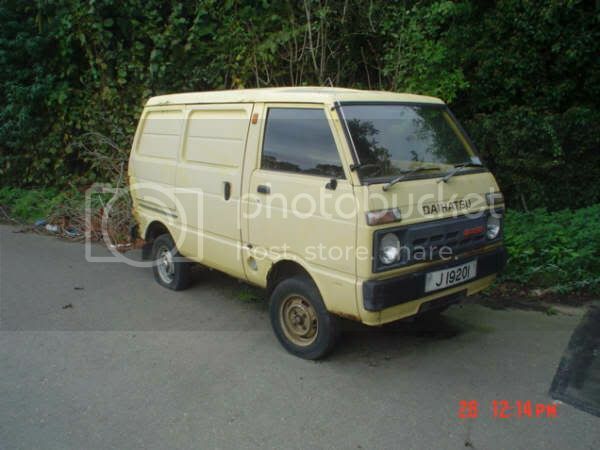 Poor little Dai-shat-su van, was abandoned in one of the best shite collections in a public(ish) place. now the size of a small(er) box. Quite minty ezzer, low mile-age Ghia spec methinks, quite dull all the same, why have black/Red/Hearing aid Beige when shitblue will do? More to come my dears. 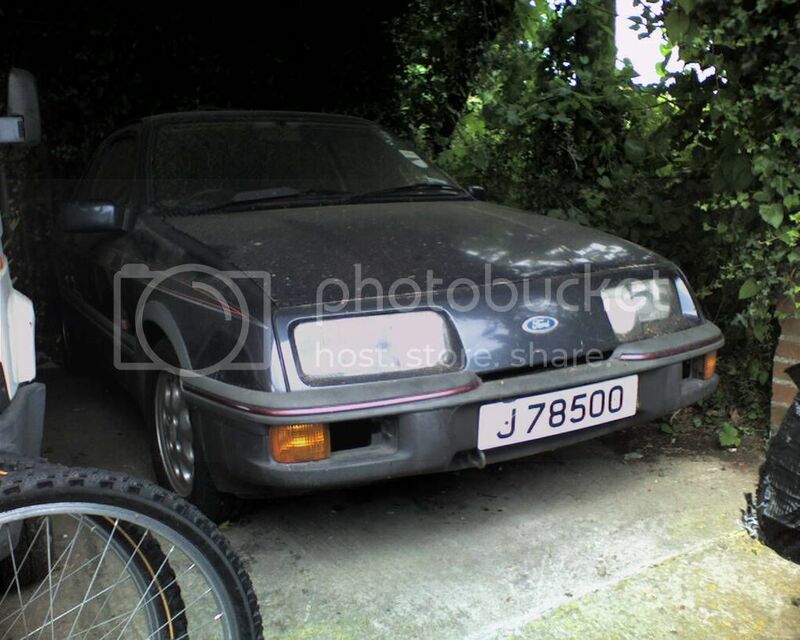 Phantastic stuff there, don't think I've seen any of the above although that 2600 is familiar, did you buy it off some little old lady?A few cars there look like they aren't on original plates any more, the series only reached J98000 at the end of the 1990s so that mk3 escy has definitely been re-registered. 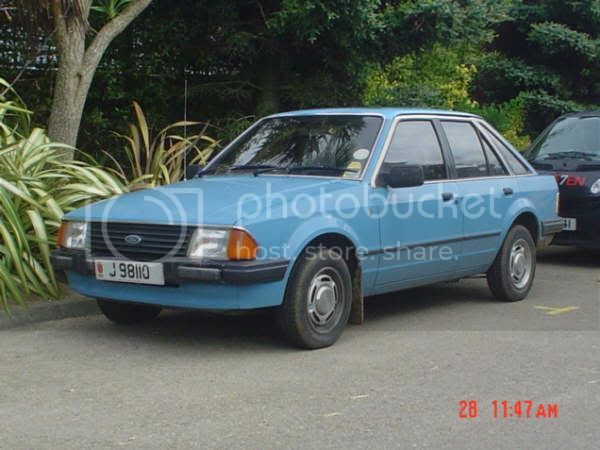 So has that XR4i, the second red SD1 and, I'm willing to bet, your blue 4.5. Whether this is because they were imported secondhand or just a victim of the Jersey public's immense vanity and huge propensity to bugger around changing number plates is another matter. How do! yep the red vitesse had a 4-digit plate on it when I bought it and the first thing I did was sell the plate quick to some fool who is prepared to pay hundreds of pounds to have one digit less than most others, Low numberplates (the Jersey equivalent of a personalised plate in the UK for our mainland friends) are a pointless waste of sometimes huge amounts of money. 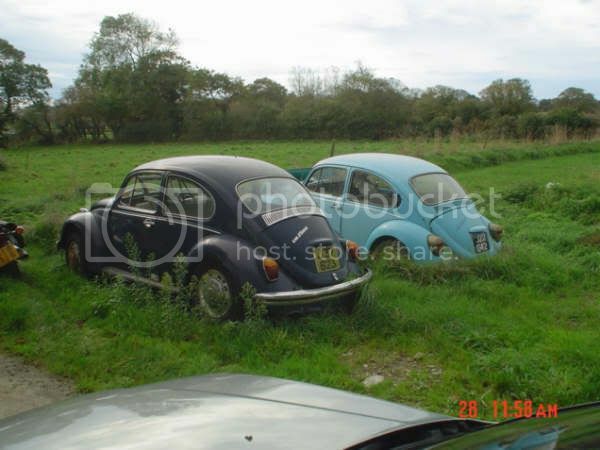 The 2600 was parked up at the butterfly farm for years and is probably the best I've ever come across (I'm sure there is a mental picture there somewhere) but my 4.5 takes priority so I may break it which is a shame-not something I want to do. 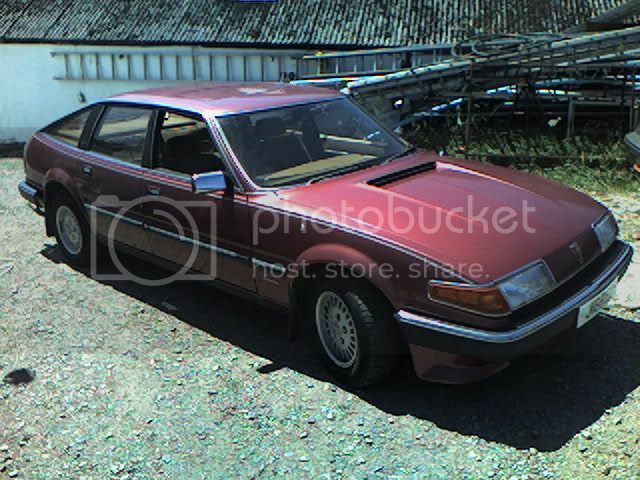 Do you know of an old dear with an SD1? WHERE WHERE WHERE??? Now I'll have to try and take pics of shite that you've not documented already. Cheers! Looks a bit of a shame to bust your two-six. Why not just sell it? Is there no-one on jersey who would want it? 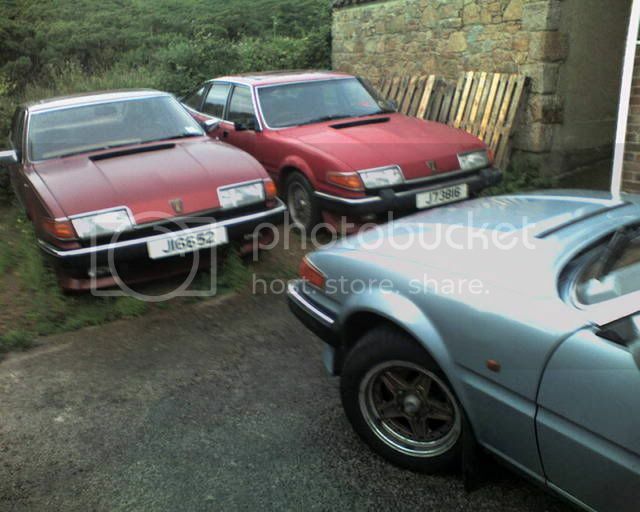 Do you know of an old dear with an SD1? WHERE WHERE WHERE??? Racking my brains I believe it's in fact a silver one I think it is also J16-something. Looks like I'd better get cracking on photgraphing all the various tat I've spotted parked up but not yet caught on camera or you'll get there first! Hmmmm....you could be right. At first glance I thought the 'badge' on the wing was the indicator side repeater, I don't remember Mk3's not having a side repeater? 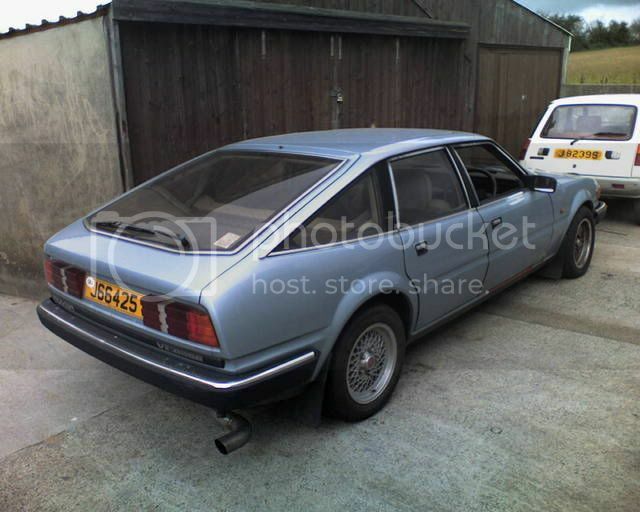 It does look like the ghia badge so must be a very early mk3? ?I also thought the GL's did have that chrome trim at some point?